Do you have a great appreciation for TV stars or superheroes? 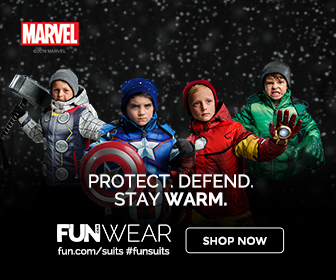 You must consider buying superhero costumes. One of the most in demand and the most popular superhero costumes available today is Flash. This costume covers from head to toe and the hands as well. The best thing about this costume is that it allows you to see clearly and even drink water while the mask is on. This is why many kids and adult alike love this costume. Rubies are one of the leading manufacturers of various kinds of kids’ costumes for any type of event. This company has been in the business for many years now and continues to provide high quality, unique, relevant as well as an amazing costume for kids. As a matter of fact, they are the premier maker of superhero costumes, inflatable costumes and various kinds of accessories. The best thing about this company is that they put comfort first in their mind in making high-quality costumes. This company has been in business since 1950. Being the leader in costume making, the company takes their mission seriously to make fun and memorable dressing up. Masks, mascots, rental quality costumes, accessories, wigs, shoes as well as considerable licensed costume people want to wear could be found in this company. Rubies is a family owned and operated company that keeps on bringing fun to everyone for every season such as Halloween, Mardi Gras, Christmas, Easter and in-between. Halloween is a great time for you to allow your little superhero to shine this season. Considering a Flash costume could be a remarkable idea for this Halloween. It’s a great costume for girls and boy alike. This flash costume is available in various sizes. The Flash costume is not just ideal for Halloween party, but also for any kind of events like birthday and many others. Is your little one dreaming of becoming a superhero? Then why not make his dream come true with the help of DC Comics Deluxe Muscle Chest The Flash Costume. Perhaps you already familiar with his superhuman abilities, well the Flash can run many miles without any sweat. Your little one will have lots of times of fun and enjoyment portraying one of the best and toughest members of the Justice League. This kid size deluxe flash costume is integrated with a fun muscle chest and made of 100 percent polyester materials for kid’s comfort. What is more, it is also integrated with muscle chest technology. DC Comics Deluxe Muscle Chest The Flash Costume is a licensed and certified superhero costumes from one of the most popular costume maker today. DC Comics Deluxe Muscle Chest The Flash Costume is available in various sizes such as small, medium as well as large. The best thing about DC Comics Deluxe Muscle Chest The Flash Costume is that it is integrated with amazing features in order to make it more amazing and remarkable. 100 Percent Polyester: The DC Comics Deluxe Muscle Chest The Flash Costume is made of high quality 100% polyester for your kid’s comfort. A remarkable costume with belt, headpiece and boot tops. Costumes are sized diversely than clothing, it is advisable to review current reviews, manufacturers costume size graph and Q and A in order to know the best and appropriate size for your little ones. It is integrated with Velcro closure, belt ties and headpiece totally covers the head. Licensed superhero costumes from Rubies. Easy to dress up, hand washes as well as line dry. There are many good reasons why DC Comics Deluxe Muscle Chest The Flash Costume is one of the best costumes at this point. In fact, lots of kids choose to portray this role in various kinds of costume parties and Halloween events as well. If you have many places to visit or if you have lots of things to carry out, would not you rather run fast, think faster and move quicker? The normal superhero costume is not likely to improve your speed; on the other hand, if you are wearing this costume, surely you’ll look the part. To make it more convincing to your foes and friends, convince your best friend to play Wonder Woman or Green Lantern. Tough and Durable Materials: DC Comics Deluxe Muscle Chest The Flash Costume is durable and tough due to its durable and hard-wearing materials. Easy to Clean and Maintain: This costume is easy to clean and maintain. In fact, you can wash this costume with your hands without affecting the color. Amazing Design: The DC Comics Deluxe Muscle Chest The Flash Costume is perhaps one of the most stylish and well made superhero costumes today. Back closure is amazing with Velcro dot at the top. It is highly advisable to wear your child a t-shirt underneath when wearing this costume, especially during the winter season. Comfortable to wear: This costume is made of breathable materials which make your little one comfortable and at ease when wearing this costume. Made by renowned and reliable company: If you are looking for reliable and high-quality costumes, make sure to buy one that is made by a reliable company. When you choose DC Comics Deluxe Muscle Chest The Flash Costume, you are assured of its quality and longevity. This costume is made by Rubies, the leading costume manufacturer at this point in time. There are many kinds of costumes available out there that can help your little one stand out from the rest, on the other hand, DC Comics Deluxe Muscle Chest The Flash Costume stands out from the rest. Made of high-quality materials, this costume can be used year after year. This is also available in various sizes. Easy to wash and maintain and most of all, you can buy this for a very reasonable price.